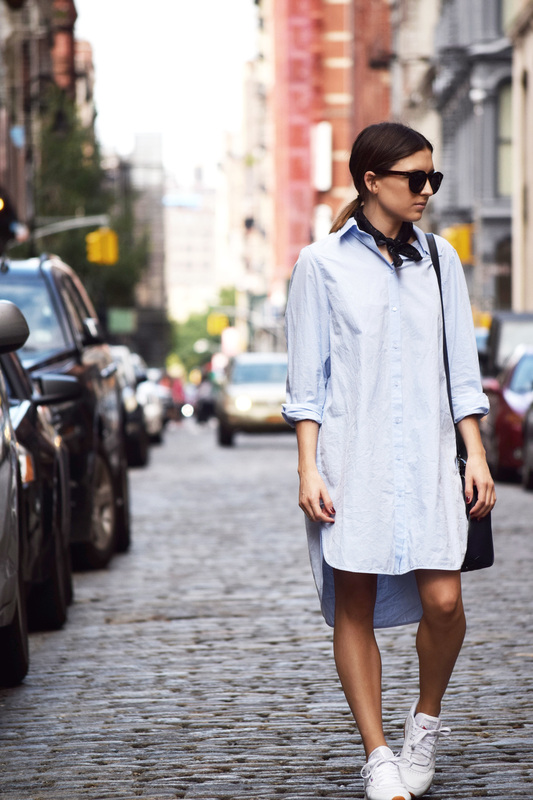 There are very few things I like to wear more than a good oversized shirtdress. They are just the epitome of effortless cool and comfort at the same time. This particular day was my last shopping day living in SoHo before making the big move out west. So the minimal look, completed with some basic Reebok sneakers and a neck scarf, was ideal for a long day of walking all over the city. Weekend strolls through the neighborhood is definitely one of the things I will miss most about living in the city!